My mom once told me that, because of my Spina Bifida, the doctors told her that I would never walk. Then once I began walking, they told her that if I became overweight as an adult that I would become wheelchair bound. As an adult, I was always fairly fit even without the benefit of what little exercise I could do due to my physical constraints. But once I got married, I slowly started to gain more and more weight. I got the "happy fat". 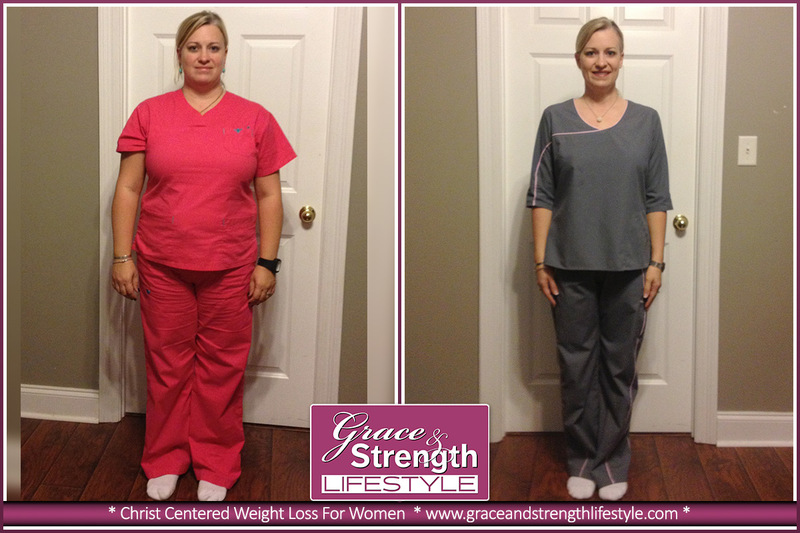 My journey on the Grace & Strength plan started in mid-September of 2012. It has been one of the most life-changing, educational experiences of my life. Let me start by saying that I was a HUGE skeptic. I watched a friend have tremendous success on the program and still had many doubts. My poor coach put up with so many questions and doubts and arguments from me! As we say in the south, Bless Her Heart! 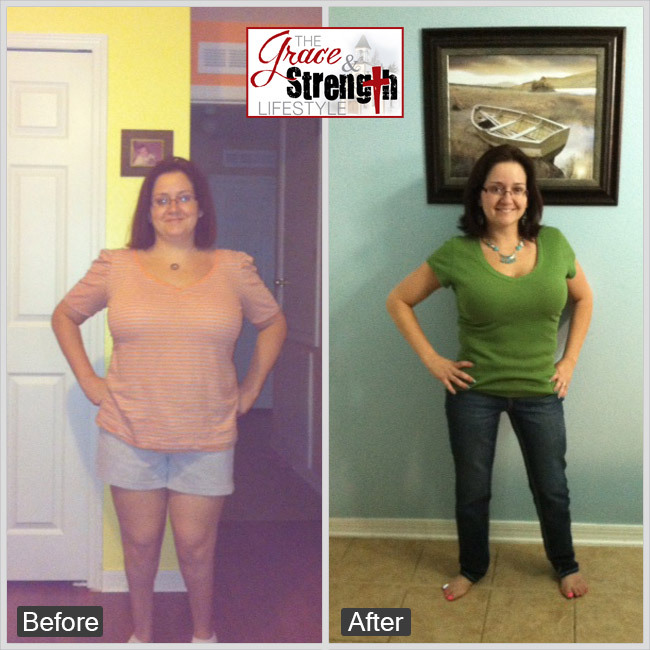 I have had the pleasure of coaching Stacy, one of my old college buddies through her journey with Grace and Strength. It has been such an amazing experience to watch her change from the inside out through these last five months. 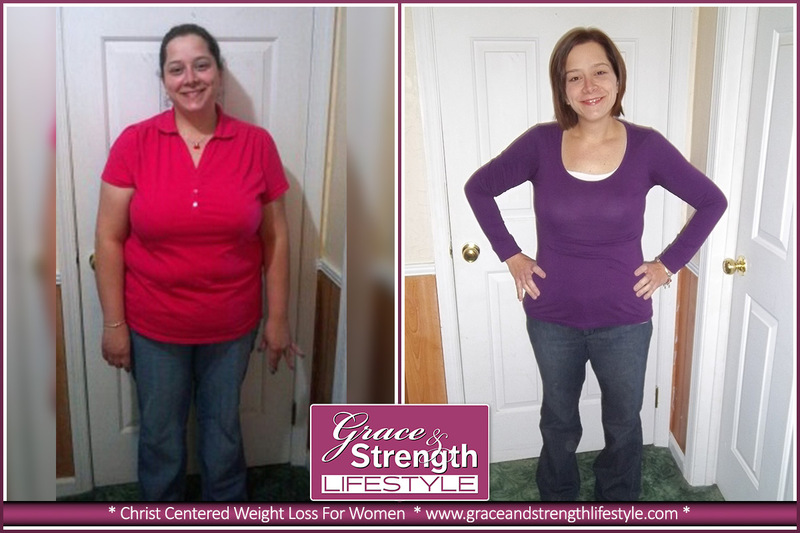 To see a shy and timid friend transform into a strong and confident woman in just five months in incredible. She recently won Teacher of the Year at her school and was also offered a brand new literacy coach position. 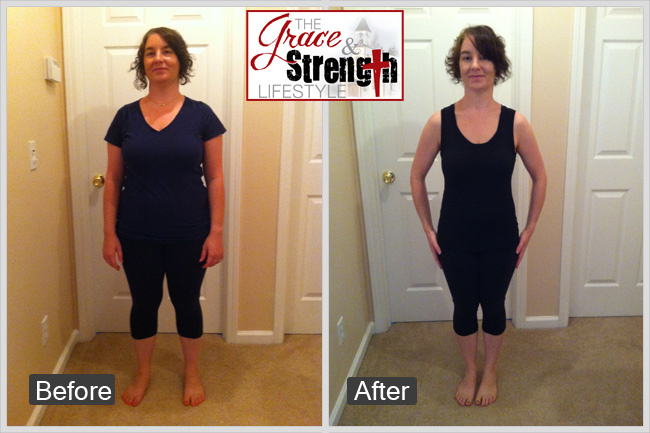 I am very happy that I choose Grace and Strength Lifestyle as my weight loss plan. I have always exercised but this was my first diet. Over the last 10 years I had slowly gained an extra 49 lbs. and this year began avoiding pictures and I hardly recognized my face in the mirror. My back began to hurt in the mornings and when I bent over and I assumed it was because I was now in my 30's, and that's what happens when you turn 30! Weight has been an issue in my life for about the last 10 years. In 2004 my daughter was born and I just thought to myself... This "baby" weight will go away eventually… well, that eventually turned in to never and then after my son was born in 2008 I worked hard to lose weight… I lost 40lbs and then gained those 40 lbs back and then some.